In November the exhibition URBSTRACTION at Pretty Portal is going to show a selection of formal and abstract positions . 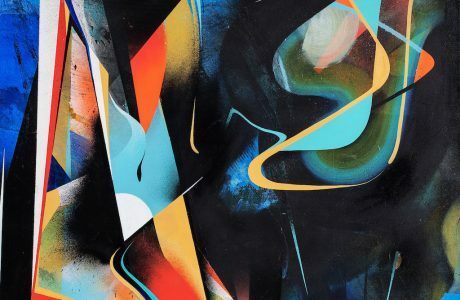 We are pleased to display a variety of the most interesting and most progessive artists of the Contemporary Urban Abstract and Graffuturism, such as CHAZME, Marc C. Woehr and Théo Lopez. 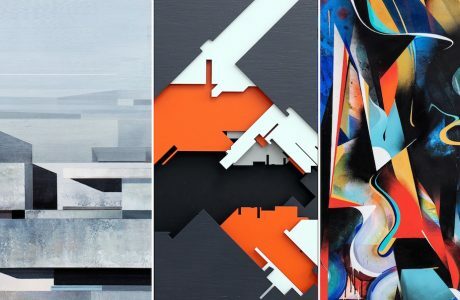 On display are compositions of shapes, surfaces and lines, full rhythm and movement – inspired by urban landscapes, constructivism, the Russian Avantgarde, architecture and typography. The participating artists are from Poland, France and Germany. Daniel Kalinski, aka CHAZME is known for his paintings of surreal and confusingly complex architectures. The polish artist, who was born in Switzerland, graduated in architecture and urbanism at the University in Warsaw. Starting out as a character painter on the Warsaw graffiti scene, he diverted in his artistic development to formal abstraction. The futuristic city scapes which are one of the main subjects of his body of works are inspired by Brutalism and Constructivism. His Escher-like constructions contain rigid geometry as well as poetic scenarios. In his paintings he connects classical mythology and the contemporary urban experience. The urban maze, which is typical for his imagery, is a powerful metaphor for modern man’s urban environment. Besides many murals artworks, which he is often painting with his friends SEPE and Robert Proch, he has presented his work in a number of exhibitions all across Europe. His work has been honored with the ARTAQ Urban Art Award in 2011. Since he started as a graffiti artist in the 1980s, Marc C. Woehr has come a long way and developed an impressive artistic freedom. Like all street artists, he began with simple lettering, following on with large images several metres long. However, at some point he noticed that this hectic (because forbidden) work performed outdoors at night was no longer sufficient for him. He wanted to increase the element of composition in his work, and decided at short notice to move into a studio and to exchange the rough exterior walls for classical canvases. 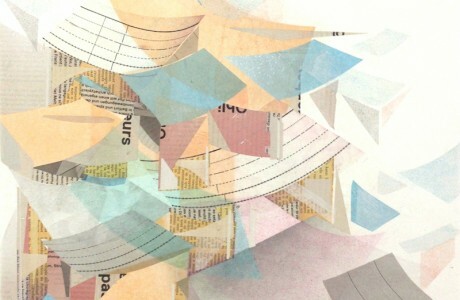 In the studio, his intensive preoccupation with urban space initially resulted in collages: compositions of photographs and newspaper cut-outs combined with painted elements. These collages too are reminiscent of the 1920s, evoking the Bauhaus and the DADA movement, and already hint at the aesthetics of wood relief. Marc C. Woehr started his aesthetic production over twenty years ago on the street. Since then, the street as the smallest unit, architecture and the city as a large structure, as a matrix, have never left him. He has penetrated and examined them in all directions. The result is impressive: his wood reliefs have become his essential, characteristic theme. The preoccupation with the art of the early twentieth century has resulted in very contemporary works which in no way indicate that the artist started his career not with a brush or a crayon, but with a spray can in his hand. In Theo Lopez’s pictures lines are gliding over the canvases. They follow imaginary freeforms, swing in harmonic rhythm, take straight paths to suddenly change their direction. In doing so, they define forms that recall Wild Style graffiti and are inspired by Dadaism and Surrealism. Asked for further influences, Theo Lopez calls the Russian Constructivists, and the abstract American expressionism. Theo Lopez combines all these directions in works that are attributable to the contemporary art of Graffuturism. In addition to the expressive form-language, his skilful handling of light and shadow and the use of powerful colors, which lend his works a wonderful vitality, are striking. Théo Lopez is one of the outstanding talents of the French Urban Contemporary scene. He was born in the Paris suburbs in 1989, where he still lives and works. In 2008, he was invited by the art collection 9éme Concept, for which he realized several major projects on an international level. Since then, Theo has been working on his expression and his visual language. He has continued to evolve more and more from the object to the abstract, from the effect to the essential. The works of the still young artist were presented in a variety of exhibitions and publications. Some of his works are part of the collection of Nicolas Laugero Lasserre and are exhibited at the Art42 Urban Art Museum in Paris.